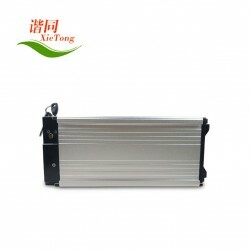 36V10Ah Li-Ion NiCoMn Alloy shell ebike battery pack. 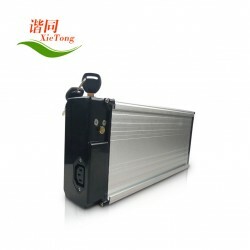 Included 10s polymer cells, 1pcs 15A continuous discharge current smart BMS, 1pcs 36V2.5Amps EMC-120 Lithium Ion battery Alloy shell charger. 1. 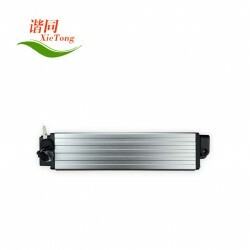 1Pcs 36V 10AhLi-Ion NiCoMn Alloy shell ebike battery pack. 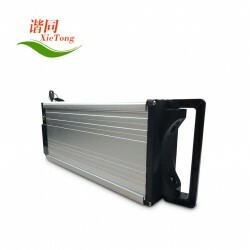 Included 10s polymer cells, 1pcs 15A continuous discharge current smart BMS, 1pcs 36V2.5Amps EMC-120 Lithium Ion battery Alloy shell charger. 2. 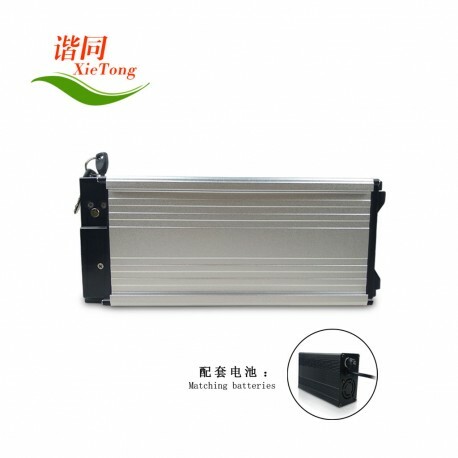 1Pcs Lithium Ion battery 36V2.5A aluminium alloy shell EMC-120 charger. 2. Dimension: 69mm X 148mm X 355mm. 5. Maximal Continuous Discharge C-Rate: 15Amps. 6. Maximal Discharge Current: 30Amps. 1. AC Input Voltage: 90V~132V or 200V~264V. 4. AC Plug: Europen Standard or American Standard.